Transportation, urban and campus environments are complex spaces, which have an increasing need for innovative signage and wayfinding solutions employing best practices and the latest technology. The SEGD Wayfinding event will bring together a range of experts to tour, connect, discuss and discover over two days this August. 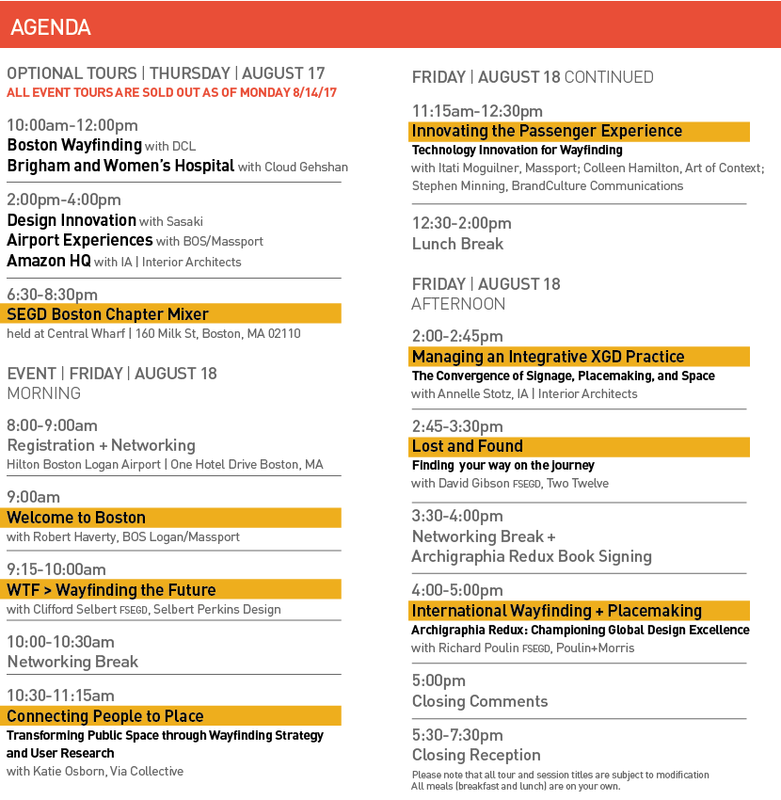 The event will kick-off on August 17 with a series of morning and afternoon tours*, followed by an evening social mixerhosted by the local Boston SEGD Chapter. 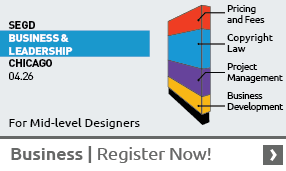 On August 18, designers, makers, integrators and planners involved in the creation of signage and wayfinding systems will engage in dialogue on critical topical issues and best practices in the field. *Note: All 2017 SEGD Wayfinding tours are now SOLD OUT. The SEGD room block has expired, but you can still check out the hotel and book a room on your own at the Hilton Boston Logan Airport here. BOSTON— Transportation, urban and campus environments are complex spaces, which have an increasing need for innovative signage and wayfinding solutions employing best practices and the latest technology. The SEGD Wayfinding event is poised to bring together a range of experts to tour, connect, discuss and discover over two days this August.